Clouds aren’t usually the astronomer’s friend, but at this time of year they become the objects of our attention. For the past few nights, my Alberta prairie skies have been beautifully clear and filled with the clouds of solstice. 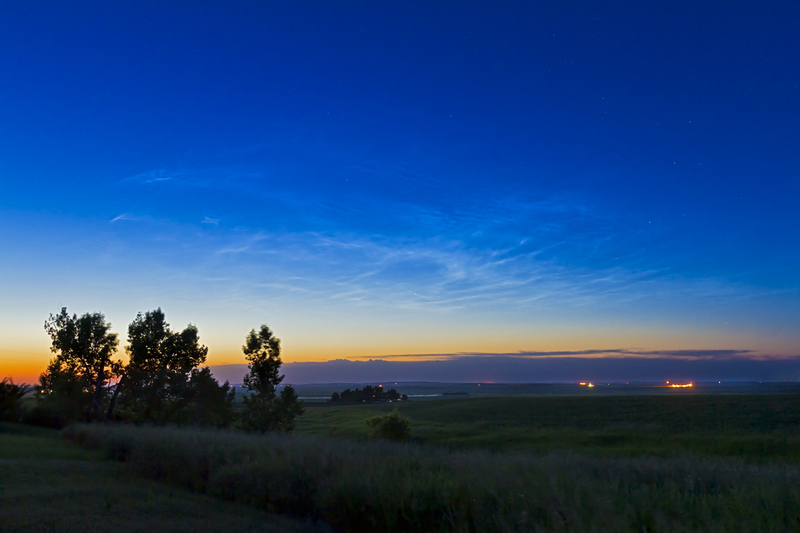 Last night, July 6, began at twilight with the best display of noctilucent clouds so far this season — and we’re now at peak season for this northern sky phenomenon. This was the scene at about 11:30 pm local time, with the wispy high-altitude clouds at their most extensive and fully lit by sunlight. Over the next hour or so, as the Sun set further below the horizon, the display disappeared as darkness came to the high atmosphere and the Sun no longer illuminated these clouds suspended over the Arctic. Here’s a diagram of the geometry of how they get lit up. If you are curious to learn more, check this NASA page. However, tonight normal, everyday weather clouds moves in, curtailing any late night NLC watch. 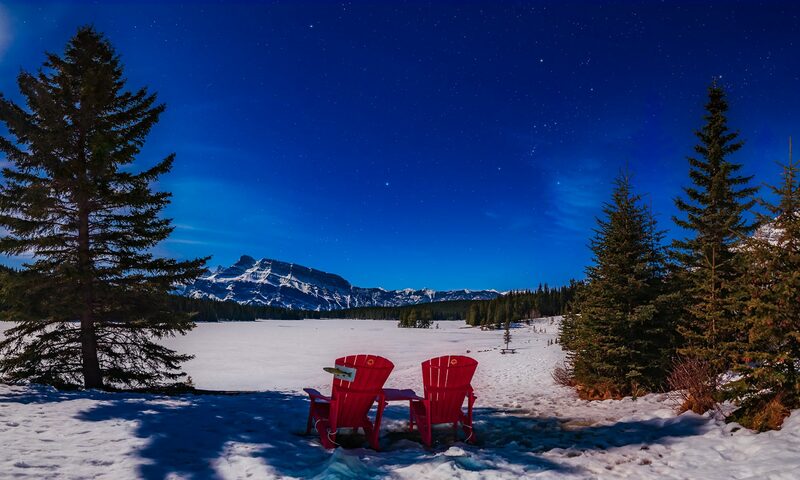 Tomorrow, I head to the Rockies to do some time-lapse nightscape shooting in the mountains. Yes, I know I’ll miss seeing Duke and Duchess Will and Kate start off the Calgary Stampede Parade. Royalty will just have to get on without me.